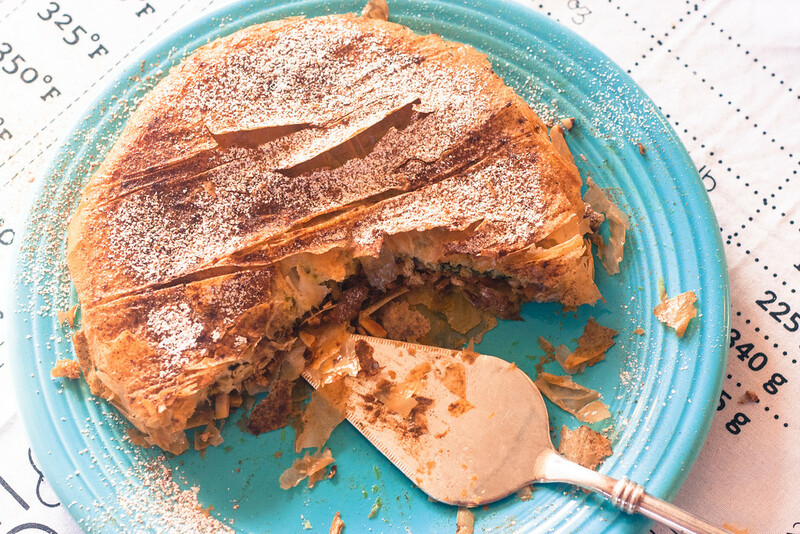 Claudia Roden calls it “one of the great dishes of Morocco” and “food for the gods.” Traditionally stuffed with pigeon (now more frequently made with chicken), bstila is a pastry that blends salty and sweet, cinnamon and cilantro. It’s the kind of dish that you can read like an archival document, and its rich history merits a close reading. Skip directly to the recipe or keep reading for more about how bstila came to be. I’ve relied on Claudia Roden’s recipe here because she is so good at distilling complicated recipes into manageable steps and portions, and because her background research is so detailed. She notes that bstila is said to have come from al-Andalus to Morocco, but points out that at least one authority in Granada claims it was the other way around. She also explains that a recipe for what appears to be bstila filling appears in a 13th century Andalusian cookbook (which while written in Iberia was billed as featuring the foods of al-Andalus and al-Maghrib, or present-day Morocco). After the thirteenth century, however, we don’t really know of any more cookbooks of Moroccan food until the twentieth century (yes this seems absurd to me, but there it is). In between, the dish is mentioned in passing in descriptions of feasts and so forth, but we have to jump into the world of modern printed cookbooks – and the ingredients of the dish itself – for more clues about bstila’s origins. A 1954 cookbook of “Moorish Recipes” written by John Crichton-Stuart Bute, a British aristocrat, claimed the recipe was from Spain but originally from Damascus. In 1957, Zette Guinaudeau (whose recipes I have discussed before) also reported that the dish allegedly came from Andalusia. While Guinaudeau’s recipe is the classic Fassi version of the dish, Bute’s cookbook includes the Tetouani version (think less cinnamon, more lemon). This makes sense given that the author, John, Fourth Marquis of Bute, spent a lot of time in neighboring Tangier. Tangier has a long history of British colonial connections: it was included as a part of Catherine of Braganza‘s dowry when she married Charles II. The Butes were fixtures of colonial society in Tangier; Bute built the famous El Minzah hotel and his death was front page news in the local paper when he died in 1947 (the question of how his unfinished manuscript came to be published in Scotland seven years after his death is a story to investigate another day). In any case, Fes and Tetouan both have strong Andalusian associations because many Muslims and Jews fleeing Spain following a series of expulsions ordered by Christian rulers settled in these cities. So it makes sense that an Andalusian dish wound up as a prominent feature of their cuisines. All this aside: what is up with that Damascus reference? you ask. It likely has something to do with bstila‘s signature combination of sugar, cinnamon, poultry, and almonds. This kind of salty-sweet contrast, and the use of cinnamon in savory dishes, are characteristics of classical Arab cuisine, which traveled from Damascus to al-Andalus shortly after the Umayyad caliphate set up camp there in the 8th century (legend has it that a polymath named Ziryab was responsible for the transfer of most of this culinary knowledge. If I could have dinner with a historical figure you can guess who I’d pick). These kinds of contrasting flavor combinations are still especially prominent in the cuisines of Moroccan cities with Andalusian ties, like Fes, Tetouan, and Rabat. Guinaudeau also alludes to another crucial (and much-neglected) aspect of bstila’s history: in aristocratic Fassi households, it was often enslaved women or their descendants who perfected, performed, and preserved specialized culinary knowledge. Their labor is acknowledged in passing by Guinaudeau, mostly in exoticized descriptions of kitchen scenes, but when it comes to bstila she is more specific: describing the near impossibility of making by hand the tissue-thin pastry sheets that the dish requires, she explains that the real specialists in this pastry are the black women (to whom she refers as négresses) of Fes. These were likely enslaved women or their descendants, forcibly taken from their homes in sub-Saharan Africa and traded north. Many of these women became skilled cooks, referred to in Morocco as dadas. To say they have gotten short shrift in Moroccan history is an understatement. Claudia Roden does discuss them briefly in her New Book of Middle Eastern Food, and Fatema Hal also acknowledges them in her cookbooks. A recently published cookbook from La Maison Arabe in Marrakesh pays more explicit tribute to the value of these women’s culinary know-how, calling its contents “our dadas’ recipes.” But no culinary text I have seen squarely acknowledges the trauma and violence these women (or their ancestors) faced as a result of their captivity and enslavement, or considers their contributions as an entry point into a reconsideration of how Morocco’s refined imperial cuisines emerged and evolved. F or a sense of what these women’s lives may have been like, we have Chouki El Hamel’s indispensable work Black Morocco, which details the history of race and slavery in Morocco from the seventeenth through twentieth centuries. We also have a fictionalized account of what life might have been like for enslaved women in a Fassi household in the 1950s in the opening chapters of Abdelkrim Ghallab’s 1966 novel Dafana al-madi (We Buried the Past; now available in English translation). Although it’s usually discussed as a nationalist novel (along the lines of Mahfouz’s Cairo Trilogy), its first half dozen chapters delve into the lives of a group of enslaved women living in the household of a prominent Fassi family, performing most of its domestic labor. These chapters detail their traumas – as in the haunting story of a woman abducted as a young girl, who “remembers every detail of life in [her home village], except its name” – as well as their culture, including a scene describing a Gnawa performance. ** Ghallab emphasizes how much forgetting is a part of these women’s lives: most of them forget the details of their capture and even their given names. What does it mean, then, for the knowledge and memory that they do have, and for which they are celebrated, to be so deeply connected to the recipes and foods and kitchens of their slaveholders? Cookbook authors since Guinaudeau have emphasized how difficult and perhaps impossible it is to make pastry dough for bstila by hand unless you have grown up doing it from a very young age: in an early (1974) edition of her Book of Middle Eastern Food, Roden refers to it as something that requires “an almost inherited experience” (102-3). Today we can simply buy pre-made filo dough to make our bstila, but we might take the time we save by buying frozen filo to pause and consider: what would life have been like for the kind of domestic laborer accustomed to doing this kind of tedious and exacting task, now delegated to machines, from a very young age? What is the relationship between the envelopment of an Andalusian pigeon omelette in a cocoon of fine pastry and the institution of slavery as it was practiced in early modern and modern Morocco? How many generations of enslaved women may have helped perfect the technique that makes this dish so delicate and crisp today? By the 1970s, bstila and many other foods of Fes had been recast as Moroccan national dishes (thanks in part to a complex process of political and cultural transformation that my dissertation, still a work in progress, is attempting to work out). The specifics of its history, from the work of the dadas to the stories of Andalusians fleeing persecution in Spain, have largely been folded into broad labels like “traditional” (taqlidi) and “authentic” (asili). But what human histories of enslavement, migration, trade, persecution, and wealth do those labels rest on? In recent years, Michael Twitty and a number of other culinary historians have worked to restore the narratives of the enslaved to American food history, and Southern food in particular. Their work is an inspiration and a model for scholars of other food traditions, and a reminder that the “groaning tables” of history have typically been supplied by those whom conventional history has ignored. Levantine, Iberian, African: it’s worth contemplating the diverse roots of this dish as you enjoy it. I largely adopt Roden’s recipe, which recommends using chicken rather than pigeon, but I use far less chicken and eggs than the original recipe calls for (after stuffing a generous amount of both onto my 11″ pastry base I had a ton left over). 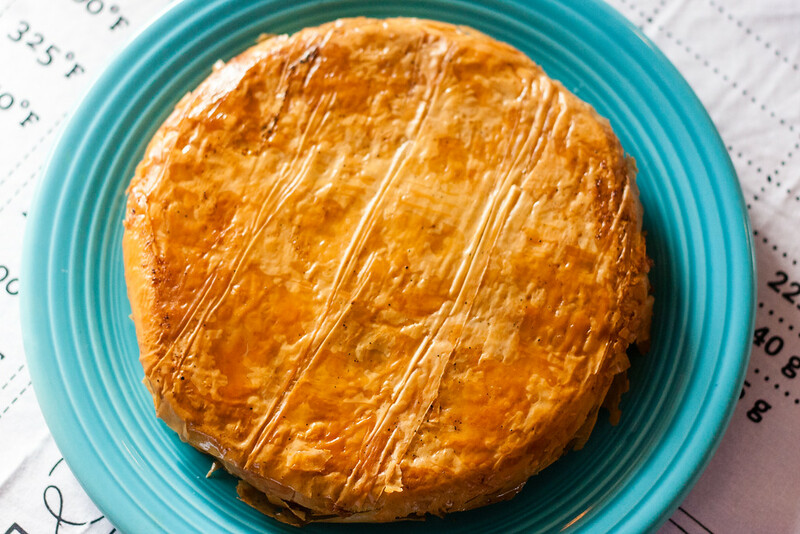 You may also want to check out Choumicha Chafay’s video version of a similar recipe, which you can watch in French or Arabic. Half a chicken: 3-4 pieces, bone-in, should do. I used a mix of thigh and breast pieces. Place your chicken pieces (bone-in) in a pot with a few tablespoons of oil, the onions, salt, pepper, ginger, saffron, and 2 teaspoons of cinnamon. Add enough water to cover. Simmer, covered, for at least an hour, or until the meat is falling off the bones. Make sure there is always enough liquid to cover the chicken. Remove the meat, keeping the broth in the pot, and place to the side. Keep the broth simmering and reduce until a little less than a cup is left. Meanwhile remove the meat from the chicken bones. Pour the eggs into the broth and reduce the heat to low. Stir until the mixture starts getting omelet-y. Just as it’s getting solid, stir in parsley and cilantro and add some salt and pepper to taste. Meanwhile, chop up those almonds! Fry them up in not-too-much oil, being sure to brown but not burn them. Place them on paper towels and mix them up with another teaspoon of cinnamon and the regular sugar. Now it is time to assemble this beauty! Preheat your oven to 400 degrees F and grab your thawed filo. Carefully unroll it and separate about 15 sheets. I recommend placing about half of these back in the fridge as you work with the first batch. Take a round pie or cake pan, or an oven-safe Dutch oven. Roden’s recipe calls for a 13 inch diameter pan, but my 11-inch cast-iron pan worked fine. Brush it with melted butter. 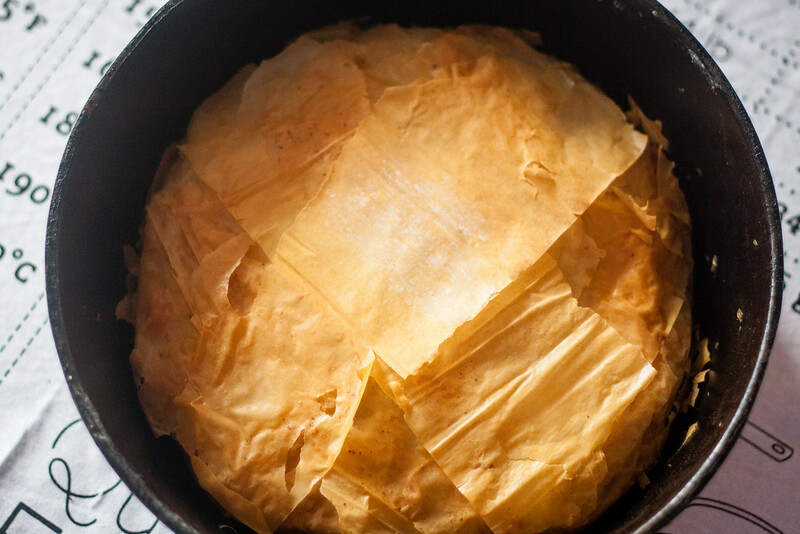 Carefully place six sheets of filo on the bottom of the pan, brushing them generously with butter between each and every layer. Do not be shy with the butter. It’s likely that the sheets will not fill the entire pan, in which case, layer them so that ends of filo stand up all around the circumference of the pan (you’ll want to tuck these over the top of the filling eventually). Lay the chicken, and then the egg mixture, on top of these first six sheets, spreading them evenly across the pie. Then add four more sheets on top of these, again brushing with butter. Next add the cinnamoned & sugared almonds. Once they’re down, tuck the overlapping bits of filo on top of them. 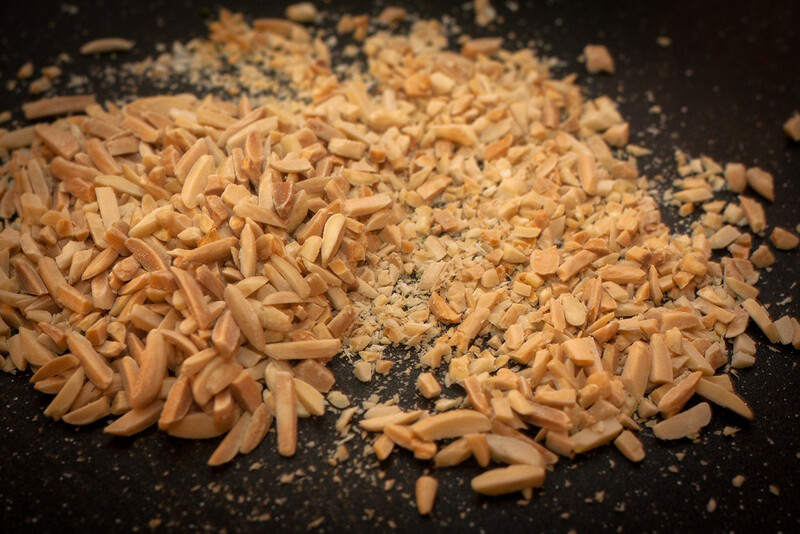 This should help you tuck the 4 final sheets of filo down over the edges of the pie as you layer them on top of the almonds, again with the butter over each sheet. The recipe says not to butter the final sheet, and so I didn’t, although I suspect it wouldn’t hurt if you did. I found that for the final layer or two it helped to work with smaller pieces of filo and plenty of butter to smooth over the top of the pie. And eat it while it’s still hot! *Ibn Razin al-Tujibi, Fadalat al-khiwan fi tayyibat al-taʿam wa-l-alwan, edited by Muhammad B.A. Benchekroun (Beirut: Dar al-Gharb al-Islami, 1984), p.184. Also food of the gluttons. I made one for a friend at lunch. I ate so much of its buttery goodness I had a gall bladder attack! Can say it was almost worth it. Thank-you for making me think about food and recipes in a new way. Thanks for reading! The more I study them the more I think recipes are among the most amazing sources of human knowledge and history we have. Thank you for Claudia’s recipe here and your careful but do-able rendering of it. The history is fascinating. The spices and almonds remind me of some game hen stuffings I’ve tried in the past. I can’t wait to give this one a whirl. Very interesting about the game hen stuffings – where are those recipes from? I believe it was from an old Frugal Gourmet cookbook: On Our Immigrant Ancestors, Recipes You Should Have Gotten from Your Grandmother. As I’m looking this up, I see that my memory may be flawed. This appears to be a Lebanese dish calling for pine nuts and all spice. I could swear there was a slivered almond dish . . . I’ll keep digging! Really interesting read. I am no cook for sure, but the history is fascinating. Thanks. This was a well-researched fascinating read. Both cinnamon and sugar feature heavily in Iberian cooking due to their New World and Indian connection from the Age of Discovery. I’m curious about the addition of cinnamon and sugar- did it came about after the voyages and if it is so, what the dish would have been like before such ‘exotic’ influences. Cinnamon and sugar were both used in Arab cooking long before the Columbian exchange – cinnamon was traded to the Middle East through the Indian Ocean trade and many places in the region (Iraq for example) grew sugarcane. So they were expensive but available spices in even medieval Arab cooking, which spread across North Africa with the Islamic conquests. Thanks for your amazing recipes ,sure to try them in the near future , learning new things is quite amazing. Thank you so much for this recipe!! I spent 5 months in Morocco and loved having this! Do you have any suggestions for making it gluten-free? Thanks so much for sharing any ideas you have on that! I would try to find gluten free filo dough! If you can’t find that you might try making it with another kind of pastry crust, like a thin pie crust – which might be easier to find or make gluten-free – and experiment with that. Some older versions of the recipe had fewer layers, which would probably be easier to make with gluten-free materials. 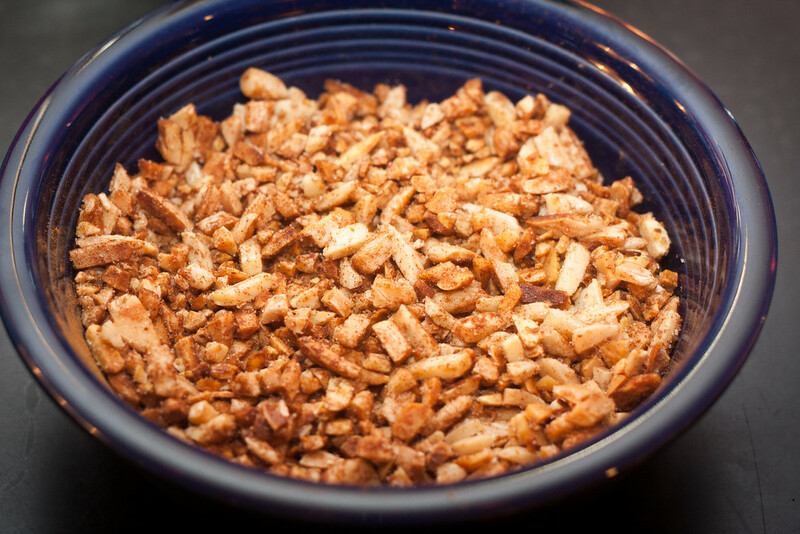 The best part of the dish (for me) is the combination of flavors, and if you get your almonds super toasted and crispy you’ll still get a good crunch no matter what dough you use. Good luck! A terrific article. I love that you’ve brought to light the slave experience in the context of a country’s cultural foods. Much more of this is needed. 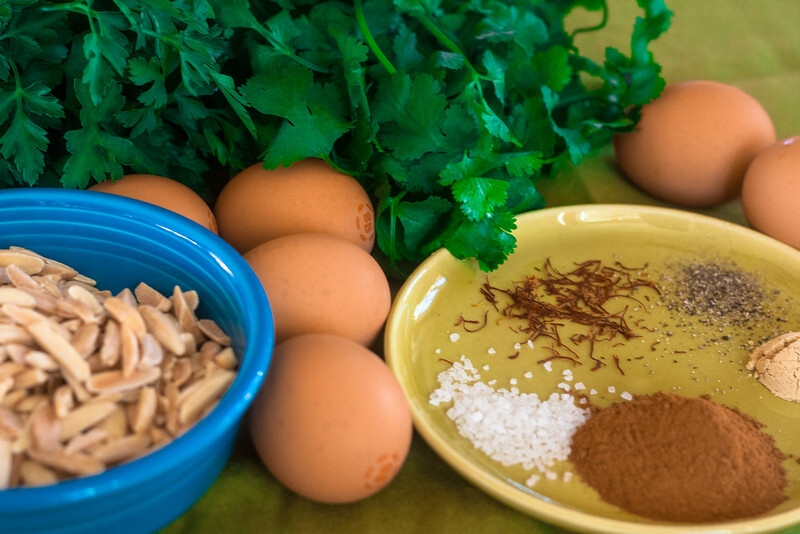 And of course, love the combination of cinnamon with savory foods, one of my favorites! Thank you – agreed that we need more conversations about the experiences that came from forced labor practices; I think food is a really compelling way to uncover histories that haven’t been written, while paying tribute to the memory of the enslaved in some small way by acknowledging their contributions. Wow. I just made this and was amazing. I liked the history too. Thanks! That was really interesting and sounds delicious! This looks amazing! I love to try new combinations of flavors that are unfamiliar to American cuisine. I really want to make this! I’m afraid I will make a mess of it with the filo dough and the flipping! 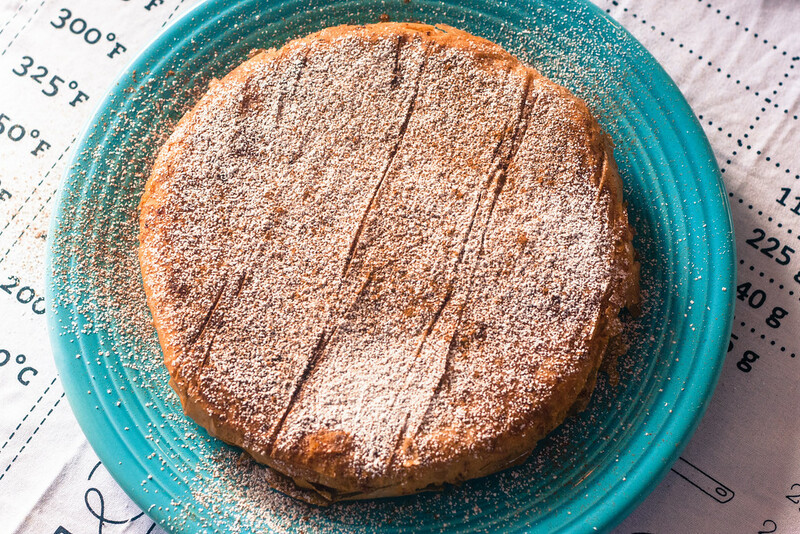 Even if this recipe turns out a little rough around the edges it will still be delicious! ← What does duck taste like in fuṣḥā?